As spring arrives, it is time again for the spring sports season. Baseball, soccer, lacrosse, tennis, spring football, and more are driving many kids and adults to the playing field. One of the most frequently overlooked pieces of equipment for any sport is protective eyewear. Eye injuries are the number one cause of blindness in children. The National Eye Institute estimates roughly 100,000 trips are made to the emergency room each year for eye related injuries from sports. Various forms of protection are available for eye safety. Safety goggles and glasses, impact resistant safety lenses, safety shields, and eye guards are available. 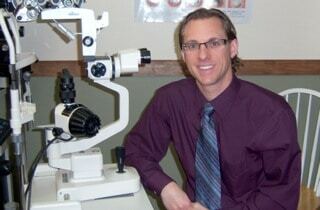 Regular eyeglasses and contacts are usually not sufficient enough for proper eye protection. 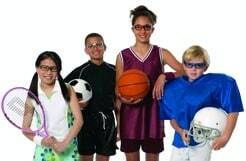 Unfortunately, very few regulations are in place to require the use of safety lenses, so it is important for parents and guardians to encourage their children to use eye protection when they are playing sports. Adults suffer from eye related injuries too. Eye protection doesn’t just apply to children. What makes protective eyewear different is the type of material used in the lenses? Polycarbonate lenses are many times more impact resistant to shattering compared to normal plastic. One misperception that is made is if you don’t wear normal glasses or contacts, you don’t need safety glasses. The truth is, everyone should wear eye protection when playing sports. Blurred vision that doesn’t clear up. Partial or complete loss of vision, including peripheral (side) vision. Any sharp stabbing or throbbing pain, regardless of duration. Something in the cornea, the clear tissue covering the iris, the color part of the eye. Cut, scratched or punctured eye. One eye that does not move as completely as the other. One eye that protrudes more than the other. A layer of blood between the cornea and the iris, bloodshot eyes. Any inflammation of the eyelid. Any severe head blow, especially one occurring close to the eye. Most eye care professionals carry different forms of sports eye protection. Liberty Sport, Wiley X, Rudy Project and Oakley are just a few companies that offer safety products. Remember, your eyes when getting ready for the sports season! At Bissell Eye Care we are proud to offer a wide selection of sports safety eyewear for adults and children alike. Stop by at your convenience to check them out! For more information contact our office at 724-443-6767. You may also go to the National Eye Institute’s website at www.nei.nih.gov/sports/findingprotection.asp or visit our website at www.bisselleyecare.com.